Well yeah! Because we are canadian, we are not part of the lucky ones who practically ALWAYS get free shipping for all their nailart-related orders. Luckily enough, we DO have very nice nailart companies who think about us and give us access to that free shipping. The first one on which I order MOST of my nail goodies is the Born Pretty Store. Most of you probably know them but if you don't, you really have to take a look at their wide, wide, WIDE, WIDE...(did I say wide?) range of different nail art and beauty products. They simply have EVERYTHING a nailart addict might need and they ship their products for free in any country of the world. 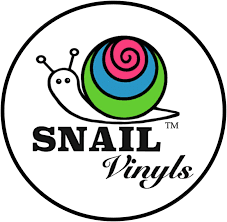 The second one I have discovered not long ago is Snail Vinyls. Just like you can probably guess, they sell nail vinyls and they look just gorgeous! I was really happy to see that shipping to Canada is completely free! There is also Nail Polish Canada which provides free shipping to Canada for purchases above 29$. They have most popular brands of nail polishes such as Color Club, China Glaze, Picture Polish, Zoya and many more. They really have a LOT of choices. For people who choose not to buy for 29$, they do add a 4$ flat rate to the orders. They also have a list of items which they ship for free anytime with no minimum purchase required. The last one I have for the moment is Harlow and Co.
Just like Nail Polish Canada, they sell most popular brands and they ship your fave products for free when you order for 25$ or more. Alright so those are the ones I know about but please, fellow canadians, if you know about other free shipping nail art pages for us, feel free to share it is the comments!